The public dedications to Edward de Vere indicate the scope of his personal relationships with other writers. The person who eventually created the “Shakespeare” works did not develop in a vacuum; on the contrary, he had to be part of a community of fellow authors, poets and playwrights. Oxford was not only part of such a community; the tributes make clear he was their leader. In that same year the 19-year-old Oxford ordered “a Geneva Bible gilt, a Chaucer, Plutarch’s works in French, with other books and papers” as well as “Tully’s and Plato’s works in folio, with other books.” Sounds indeed like a young man “addicted” to learning! 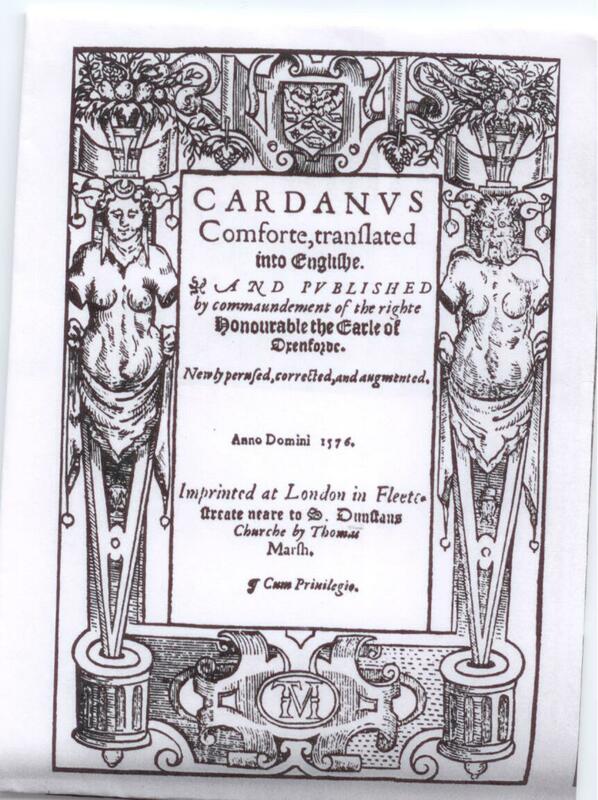 When Anthony Munday (Mirror of Mutability), told Oxford in 1579 that he looked forward to “the day when as conquerors we may peacefully resume our delightful literary discussions,” he was apparently referring to the rivalry between the Euphuists under Oxford and the Romanticists, who included Philip Sidney and Gabriel Harvey. 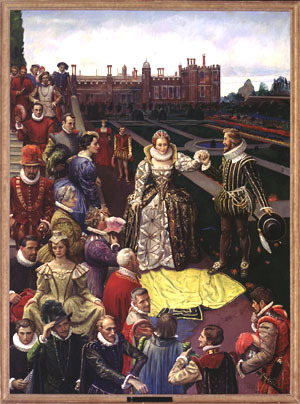 His reference to “our delightful literary discussions” offers a glimpse of Oxford personally engaged with other writers who were developing a new English literature and drama leading to “Shakespeare.” The works created by members of this circle would become known as “contemporary sources” upon which the great author drew. 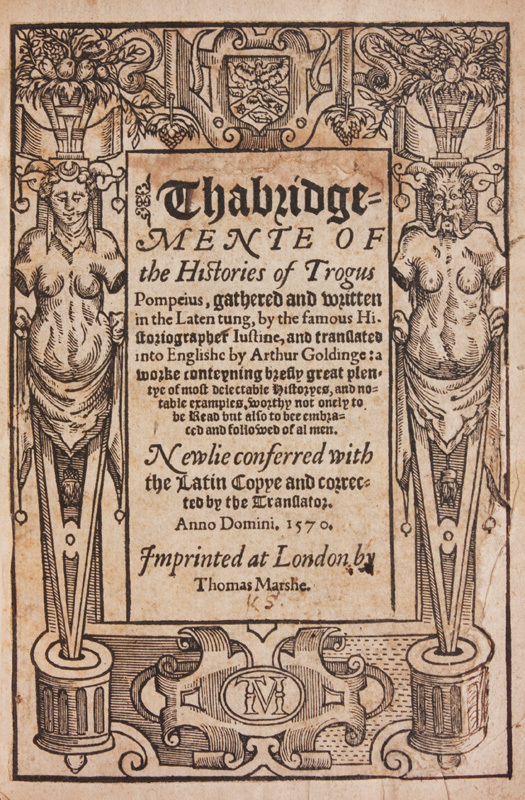 In other words, Oxford encouraged young writers with their very first works, guiding them to the press. Unlike the majority of dedications to patrons, the comments to Oxford are genuine and heartfelt. The earl may have had many faults of character, such as a tendency to be jealous and vengeful (as a number of Shakespearean characters are), but among his fellow writers and other artists he was uniquely spirited and generous. 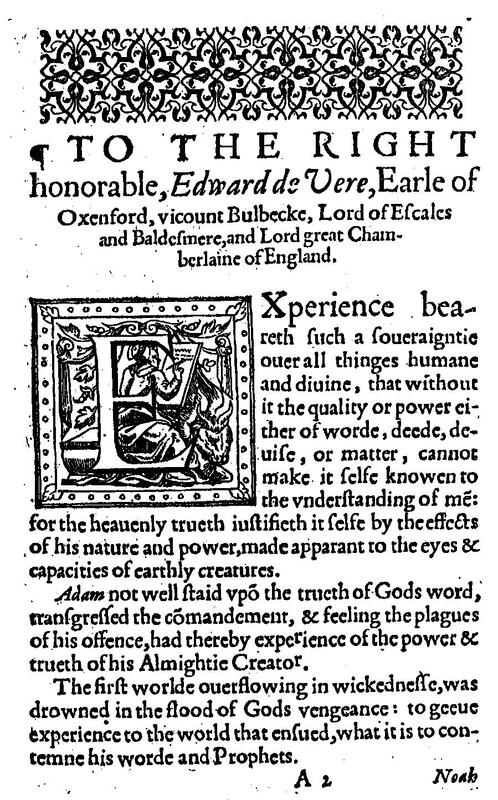 In his Oxford biography Monstrous Adversary (2003), the Stratfordian scholar Alan Nelson concedes that Edward de Vere “attracts the attention of theologians, poets, distillers, and a musician, who have translated works from the Continent, or composed original works in English.” Citing the Index of dedications prior to 1641 by Franklin B. Williams (1962), he notes that only Queen Elizabeth and a few more powerful nobles had more dedications: Leicester (114); Burghley (85); Walsingham (47); and Charles Howard, the Admiral and hero of England’s victory over the Spanish Armada (46).